Nine Inch Nails is a pioneering industrial rock band. Founded in 1988 by Trent Reznor, the band was one of the first industrial acts to break out into the mainstream. 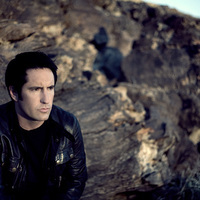 As its main producer, singer, songwriter, and instrumentalist, Reznor is the only official member of the group, and remains solely responsible for its direction. His music straddles a wide range of genres. After recording a new album, Reznor usually assembles a live band to perform with him. The touring band features a revolving lineup that often rearranges songs to fit a live setting. On stage, Nine Inch Nails often employs visual elements to accompany performances, which frequently include light shows.